❤️ HANDMADE GIFT! 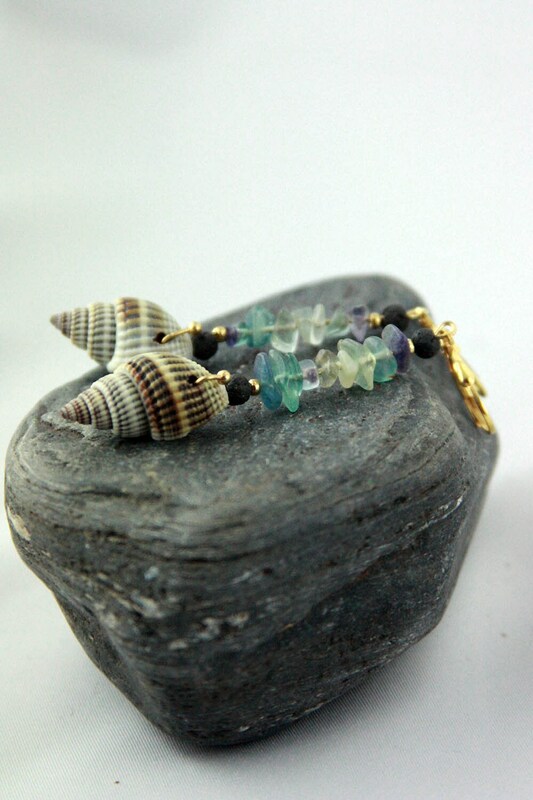 ❤️ "SIBBY" - a stunning combination of shimmering fluorite gem stones in different shades of green-blue-purple, tiny black lava beads and natural sea shells make this jewelry so beautiful. 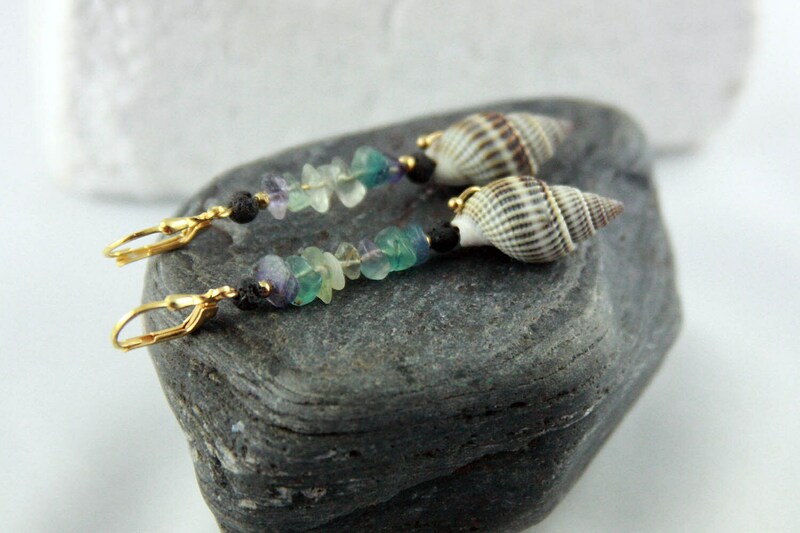 Combined with gold plated sterling silver these earrings are the perfect accessory to every style you prefer. Just as unique as you are! 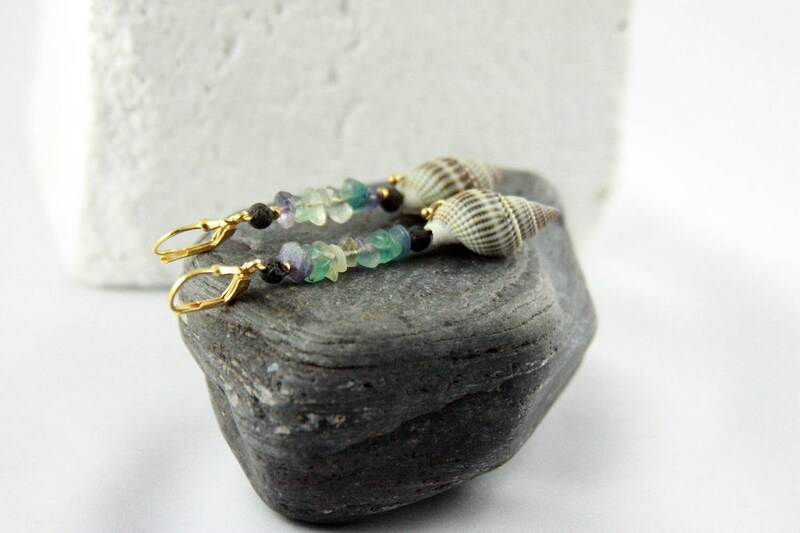 Handcrafted earrings made of gold-filled Sterling Silver in typical StoneSoftArt Design. 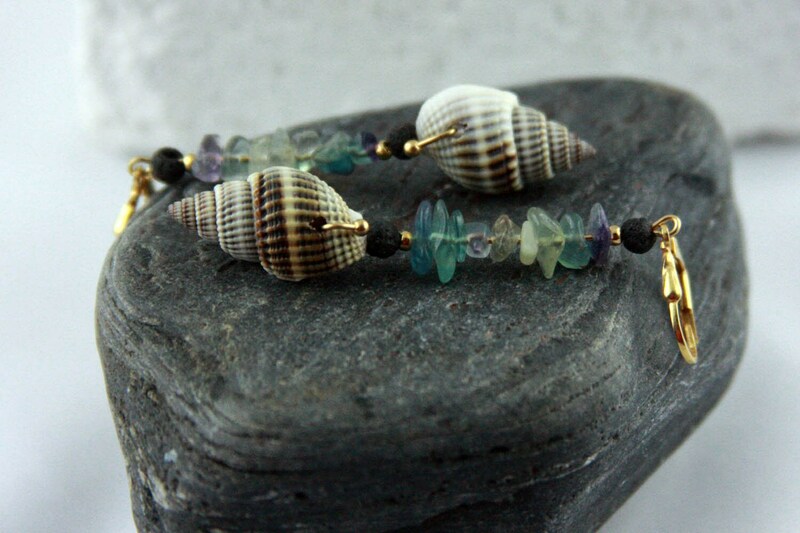 FLUORITE is known for promoting spiritual and psychic wholeness,development and protection. It is a stone of mental order and clarity. 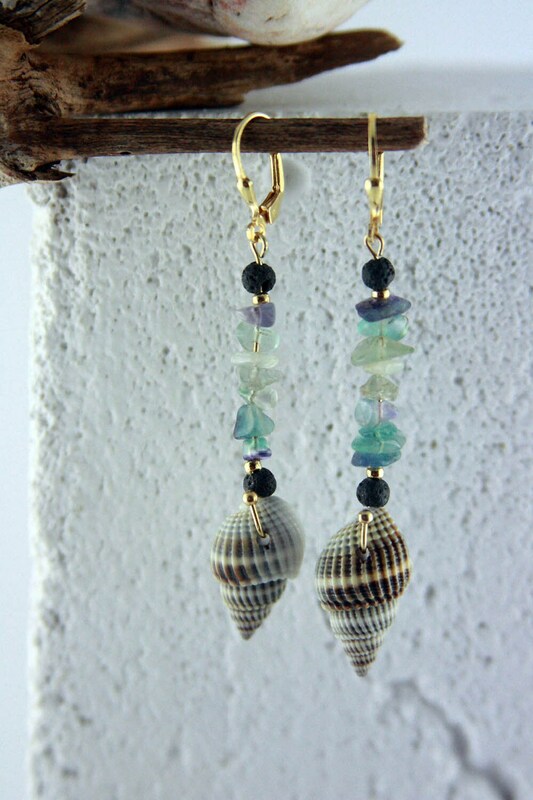 Fluorite is used to enhance mental clarity and reduce instability and disorder. This brings a wiser, more balanced view of life and improves decision making. Finally it can help making your life a bit more peaceful.